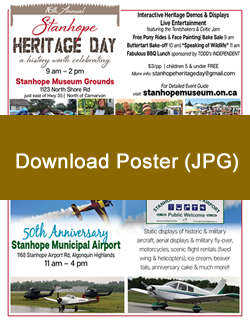 Stanhope Ontario Museum & Historic Log Chute – Haliburton Highlands – Welcome to the Stanhope Heritage Museum – Their Struggle. Our History. 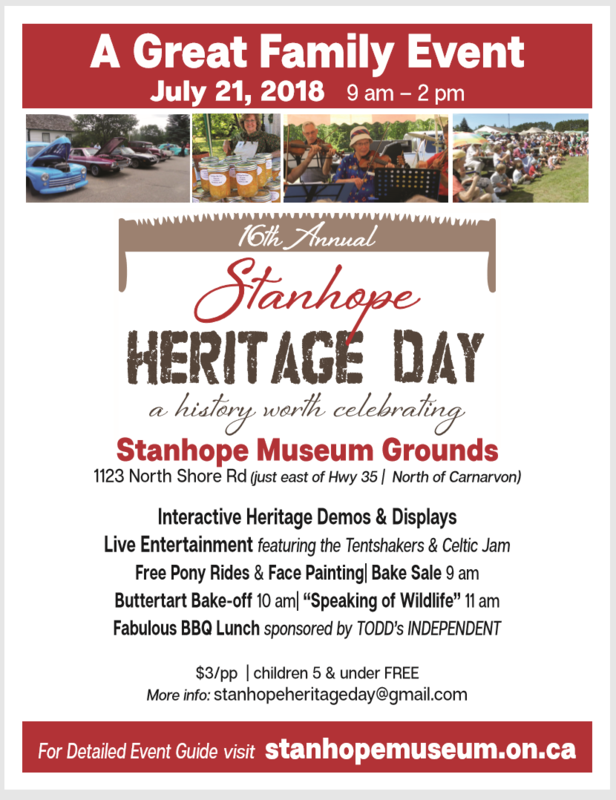 The Stanhope Museum, located in the Haliburton Highlands of Ontario, is home to more than 140 years of records and artifacts. This Ontario museum specializes in local pioneer history and is home to the historic Hawk Lake Log Chute. Hawk Lake Log Chute is the only remaining log chute of its kind in Ontario. The log chute has been painstakingly repaired and reconstructed. 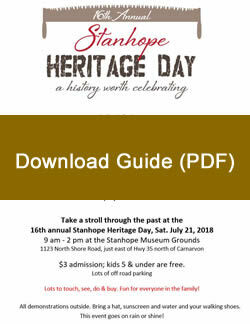 The Stanhope Museum is one of Ontario’s smaller museums but it has one of the largest archives of Ontario pioneer history and records. The museum is only a two hour drive from Toronto just north of the town of Minden in the scenic Haliburton Highlands of Ontario. Saturday July 21, 2018 9 a.m. to 2 p.m.
Our 16th annual celebration and it will be bigger and better than ever. Many terrific demonstrations and displays of heritage arts, crafts and trades. All for just $3 per person; kids 5 and under FREE. Plan a fun filled day for the whole family!